The two satellites launched atop a Long March 3B rocket at 1807 GMT (1:07 p.m. EST) Sunday from the Xichang space launch center in southwest China’s Sichuan province. Liftoff occurred at 2:07 a.m. Beijing time Monday, marking China’s 33rd orbital launch attempt of the year. Around four hours later, the Long March 3B’s Yuanzheng upper stage steered the pair of Beidou navigation craft into a roughly circular orbit approximately 13,500 miles (21,800 kilometers) above Earth. The successfully deployment of the Beidou satellites was confirmed by the China Academy of Launch Vehicle Technology, the country’s primary launcher manufacturer. 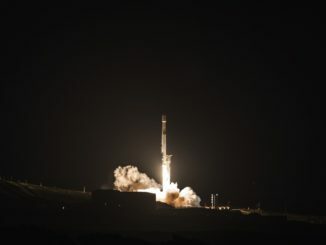 Independent orbital tracking data published by the U.S. military also indicated the satellites flying in their expected orbits. 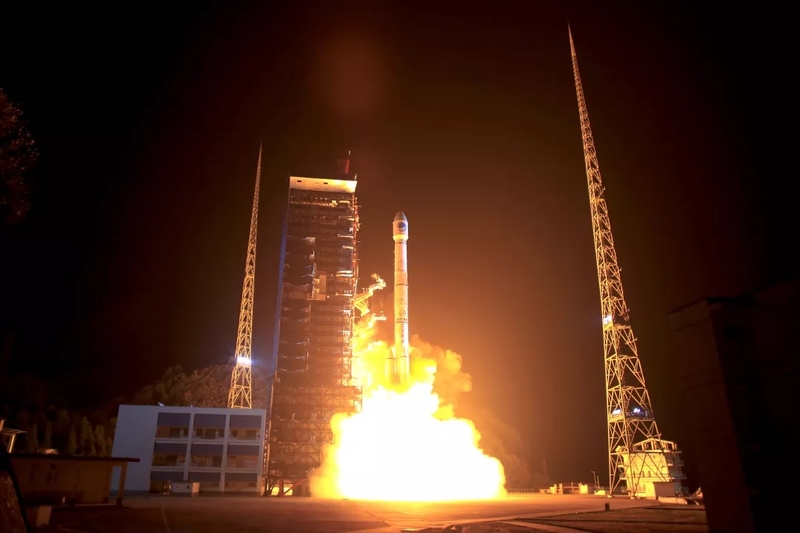 The Beidou satellites launched Sunday were released into an orbit inclined 55 degrees to the equator, joining the bulk of the Chinese navigation craft launched this year in a medium-altitude Earth orbit. 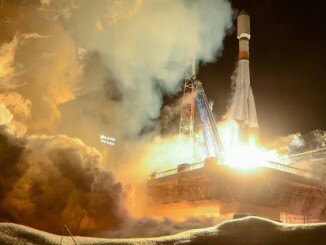 Ten of China’s 33 space launches so far this year have have boosted Beidou satellites to orbit, primarily to the medium Earth orbit targeted Sunday, but also to geostationary orbit more than 22,000 miles (nearly 36,000 kilometers) over the equator and to an inclined geosynchronous-type orbit at the same altitude. 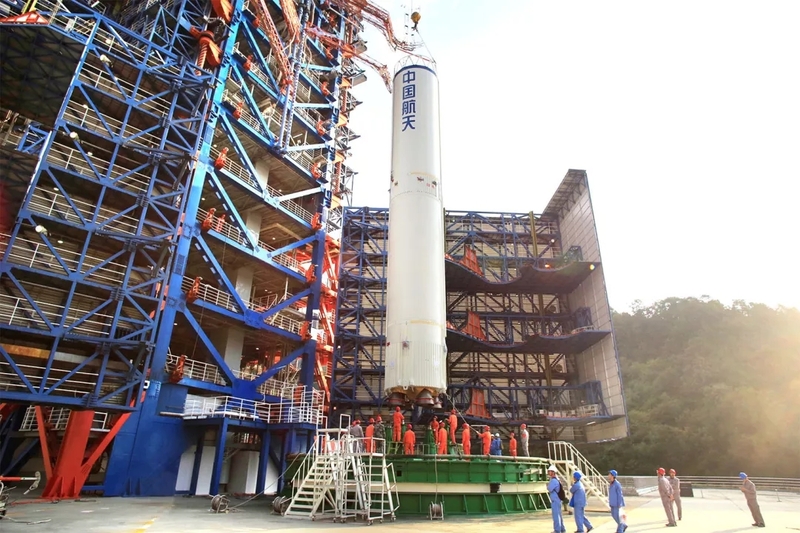 The feverish launch pace is a record for China’s Beidou program, which has now launched 43 satellites since 2000, including test models no longer operating. Chinese officials say the Beidou satellites now launching are upgraded, third-generation Beidou spacecraft, featuring improved positioning and timing instrumentation such as new atomic clocks, inter-satellite ranging links, and longer design lifetimes. This year’s overall launch rate is also a record for China’s space program, which has launched more missions into orbit than any other country in 2018. When fully deployed, the Beidou fleet will consist of 35 satellites, including 27 spacecraft in medium Earth orbit more than 13,000 miles above the planet and eight spacecraft in geosynchronous orbit, with five over the equator and three others in inclined orbits that swing between 55 degrees north and south latitude. 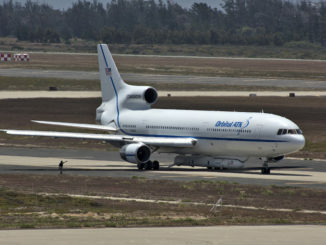 Named for the Chinese word for the Big Dipper constellation, the Beidou network has provided regional navigation services over the Asia-Pacific since the end of 2012, and China plans to roll out a wider coverage zone stretching over Asia, Europe and most of Africa at the end of this year, an advancement made possible with Sunday’s successful mission. Fully independent global service is planned around 2020 once the Beidou, or BDS, constellation contains more than 30 satellites, giving China’s military and civilian population a home-grown analog to the U.S. Air Force’s Global Positioning System. “This is a key step for BDS developing from a domestic Chinese system to a regional and then a global navigation system,” said Yang Changfeng, chief designer of the Beidou system, in a story published by China’s state-run Xinhua news agency. Eleven more third-generation Beidou satellites are planned for launch in the next two years, according to Xinhua. Xinhua reported Beidou ground teams accelerated satellite production and testing schedules to meet this year’s rapid-fire launch rate. The launch of the two Beidou satellites Sunday ended a run of rocket missions for that program this year, but several more Chinese satellite launches are planned before the end of 2018. Chinese teams were preparing for liftoff of a Long March 2D rocket late Monday or early Tuesday at the Jiuquan space base in northwest China’s Inner Mongolia region, carrying multiple unidentified payloads to orbit. The next flight of a Long March 3B rocket is expected to loft China’s robotic Chang’e 4 lunar lander and rover around Dec. 7 or 8, again from Xichang. Chang’e 4 will attempt the first soft landing on the far side of the moon in late December or early January.